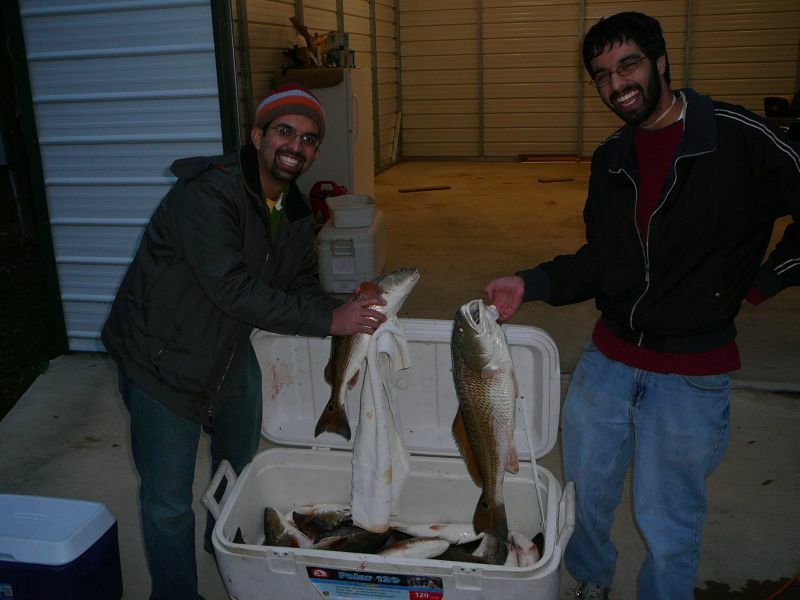 Sohail and his friends from Houston joined me for a great 1/2 Day . 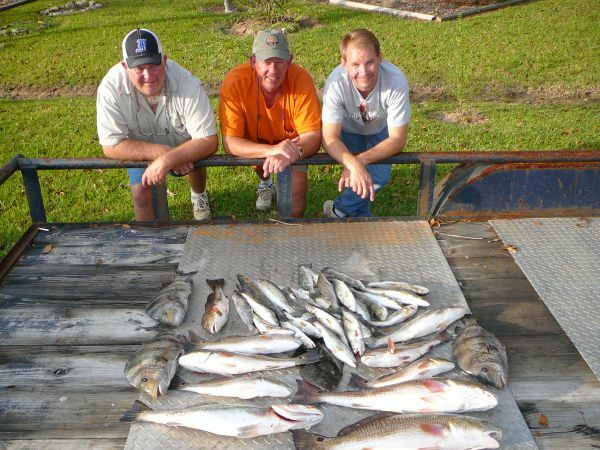 They had never Fished before and had a great 1st time catching trout ,redfish and flounder on Lake Calcasieu. 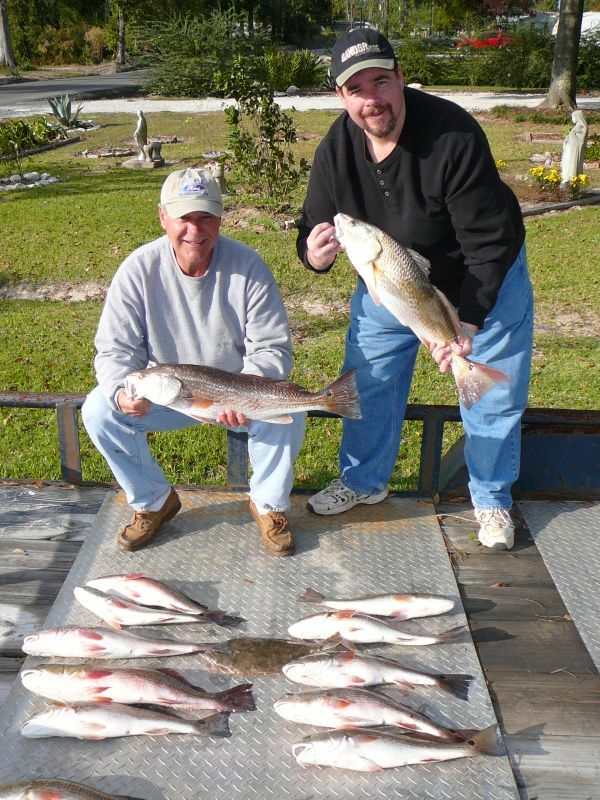 Despite the weather the fish bit great and we left them biting so these guys could get back in time to enjoy some grilled Redfish for dinner. 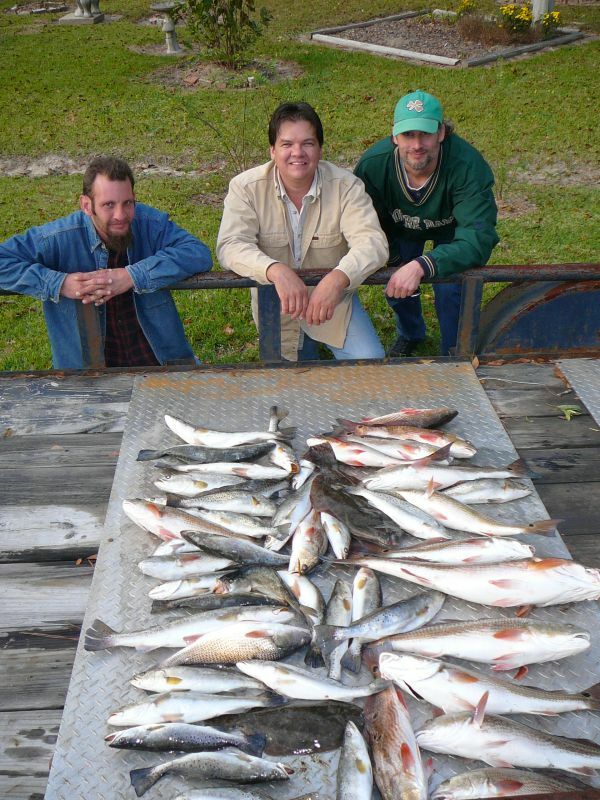 Ronnie & friends made their second trip of the fall to Lake Calcasieu and the fish were waiting. Dan & Robert joined me Wednesday and it started a little slow. A strong Cold front dropped the water temp about 10 degrees and the wind muddied the Lake pretty good but after a few stops we found a Bayou full of bait and hungry Reds. 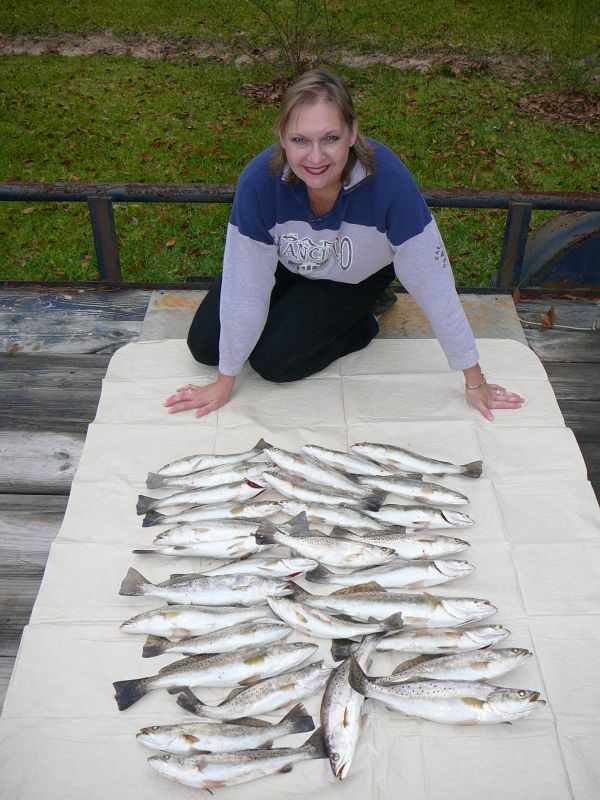 By Lunch we had nice limits of 3 to 8# reds on shrimp (dead or alive).The Trout will start biting again as soon as the wind calms and the water clears. Great Job Guys!! 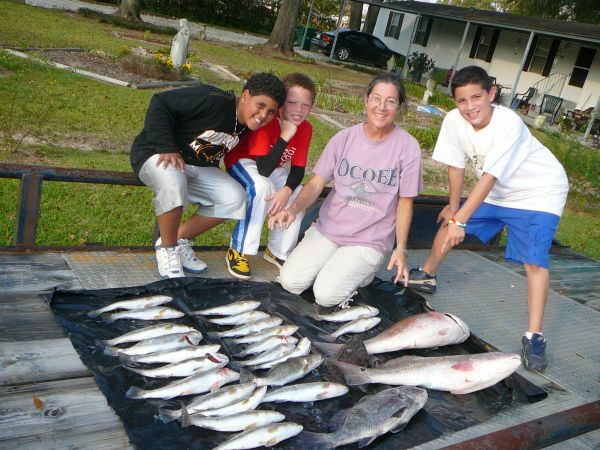 Aunt Connie and Keeyn, Miguel and Jaylen Have some Big Lake Fun!! !